Looking Ahead to 2019 - Smarter Security, Blockchain Blues, The End of IT? It wouldn't have taken a crystal ball to foresee that 2018 would bring us more damaging data breaches, increased web app and SaaS adoption, and ever-growing worker mobility. Perhaps more surprisingly, artificial intelligence and omniscient robots haven't yet taken over the world, though surely it's just a matter of time. In the nearer term, here are four developments we can expect in the year ahead. For years, security challenges have outpaced staffing. Now artificial Intelligence will narrow the gap by providing insights and correlations that previously would have taken a team of analysts. As cloud-based workloads and applications grow, organizations will leverage Security as a Service, including high-end offerings that integrate strong professional talent. Technical threats will be primarily assessed through services, enabling scarce internal resources to focus on business risks, fraud, and opportunities. And our old friend machine learning will automate the mundane-allowing security professionals to take on more meaningful work. A critical vulnerability in blockchain implementation will send early adopters scrambling to remediate this "unicorn" technology. Increasingly relied on to support critical use cases like digital wallets, healthcare, and voting, blockchain may currently be trusted by organizations beyond their ability to manage such a disaster. What are your business resumption strategy, disaster recovery plans, and replacement alternatives for blockchain? As primary responsibilities for dynamically balancing risk, cost, and experience move to line-of-business leadership, how can regulatory compliance and corporate governance stay on track? Organizations will increasingly provide personalized private coaching-using analysis of communications, transactions, and decisions to help individuals better understand the impact of their actions, in turn helping reduce mistakes and fraud. People who need extra help (or are crossing the boundary to become a malicious threat actor) will be highlighted to Big Brother. When most individuals are managing their own devices, applications, networks, and data, do organizations even need an Information Technology (IT) department anymore? Whether employees are doing this well or not is a matter of personal debate, but a narrow IT focus on managing technologies seems outdated and quaint. Digital transformation is a major initiative in most organizations, challenging fundamental ideas about what it means to deliver profound value. With the focus shifting, isn't it time for IT leadership to declare a new epoch, refocus resources into the Digital Transformation Office, and lead the charge? While Skynet might not quite achieve self-awareness in 2019, I'm more confident about the predictions above. Given the dramatic rate of change we've seen across the industry in recent years, major evolutions in the way we think about security and even IT itself seem reasonable to expect-and I'm sure I'm not the only one ready to see a splash of cold reality in blockchain's face. I look forward to watching these developments play out as 2019 takes shape. As Chief Security Strategist for Citrix, Kurt Roemer leads the security, compliance, risk and privacy strategies for Citrix products. 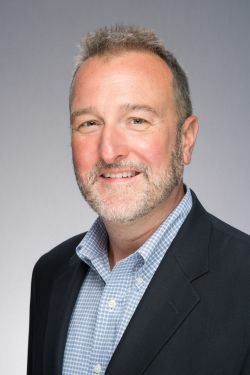 As a member of the Citrix CTO Office, Roemer drives ideation, innovation and technical direction for products and solutions that advance business productivity while ensuring information governance. An information services veteran with more than 20 years experience, his credentials include the Certified Information Systems Security Professional (CISSP) designation, he served as Commissioner for the U.S. public-sector CLOUD2 initiative and he led efforts to develop the PCI Security Standards Council Virtualization Guidance Information Supplement for the payment card industry while serving on the Board of Advisors. Roemer is an active member of the ETSI NFV (Network Function Virtualization) specification team, and is Rapporteur for developing NFV Security and Trust Guidance.